The Low-Down: Is Autonomous Flying Actually Going To Happen? Is Autonomous Flying Actually Going To Happen? Pilots are expensive, and they need rest between flights. Autonomous flight can drive new kinds of passenger services or even change the economics of today’s airlines. Dealing with the uncertainty that comes during takeoff and landing, not to mention the events that cause crashes, can be extremely difficult. Passenger flight is also highly regulated. Even if they build systems that fly reliably, companies may have trouble moving the technology into public airspace. At a tiny airport in the dusty flatlands east of San Francisco, a red-and-white helicopter lifted gently into the air, hovering a few feet over the tarmac. It looked like any other helicopter, except for the small black cube attached to its nose. Today, the helicopter is flown by seasoned pilots. But the new emergency service will be operated by SkyRyse, a Silicon Valley start-up that intends to augment small helicopters and other passenger aircraft with hardware and software that allow for autonomous flight, leaning on many of the same technologies that power driverless cars. 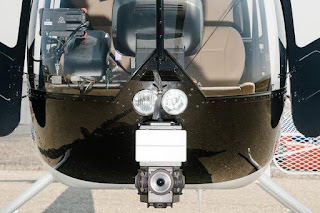 These include the 360-degree cameras and radar sensors built into the nose of the aircraft. Sikorsky, a subsidiary of the defense contractor Lockheed Martin, and Xwing, another Silicon Valley start-up, are fashioning similar technology. Others, including Aurora, a company now owned by Boeing, are exploring autonomous flight as they build a new kind of electrical aircraft for “flying taxi services.” The initial business plan for Uber’s air taxi service, which it hopes to start in five to 10 years, said it would eventually remove pilots from the aircraft. The motivation is obvious: Pilots are expensive, and they need rest between flights. Autonomous flight can drive new kinds of passenger services or even change the economics of today’s airlines. As companies like Aurora build aircraft for autonomous flight, entrepreneurs like Mr. Groden believe that adapting existing aircraft is more realistic. But any path will take a while, for technical and cultural reasons. Tiny drones have already shown the possibilities of autonomous flight. Skydio, a Silicon Valley start-up founded by former Google engineers, sells a $2,500 drone that can follow you through a forest as you bob and weave between the trees. Adam Bry, the company’s chief executive, who also worked on Google’s delivery drone project, said the same general technology — based on digital cameras and mathematical systems that analyze images in real time — was suited to passenger aircraft. The helicopter includes sensors that it would need for autonomous navigation. The radar, for example, is similar to the laser sensors on driverless cars, providing a detailed view of the surroundings even in heavy weather. But at this point, these sensors operate in tandem with pilots. Mr. Patt calls it “a way of building trust” with regulators. Using this data, engineers at SkyRyse are recreating flight conditions in a kind of virtual reality, and they’re fashioning systems that can navigate these simulations. Driverless carmakers rely on similar techniques. “We can simulate puffs of wind, engine failure, even birds digested into the tail rotor,” Mr. Groden said. take years. Moving it into flying taxi services may take even longer. The helicopters used by SkyRyse — the four-seat Robinson R44 — are small and quiet by existing standards, and in relatively wide use (about 6,000 have been built). But if used in large numbers, they may not be suited to densely populated areas. This is why companies like Aurora and the Silicon Valley start-up Kitty Hawk are building a new kind of aircraft. Someday it might happen.If you are looking for denver airport to vail transportation,then you can contact mountaincars for more details.